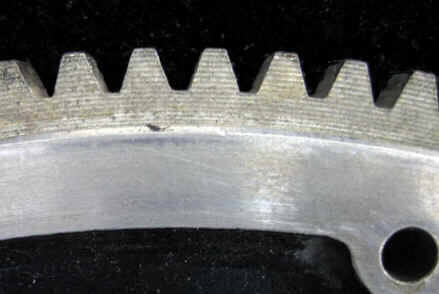 Q: How can I tell whether I have 122 teeth or 149 teeth on my Lycoming ring gear? 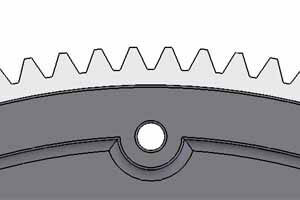 Lycoming Service Instruction 1141_A contains useful information regarding Lycoming ring gears. The instructions detail the replacement procedure, but there’s also a useful table that lists all ring gear part numbers and their compatible ring gear support assemblies. Be aware that just because your aircraft (or engine) is supposed to have a certain ring gear doesn’t necessarily mean it does. You should always confirm and order the correct starter to match. Q: Why doesn’t the NL starter work well with a Superior engine? It appears that Superior reverse engineered the 60882-type ring gear support assembly (for 122-tooth ring gears) when they manufactured and PMA certified Superior Ring Gear Support Assembly PN SL77579-1 Rev.11 (for 149-tooth ring gears). Unfortunately, when pairing those ring gear support assemblies with 149-tooth ring gears, the ring gear rests further aft than Lycoming specification and therefore tends to crash the front face of NL-type starters by a mere couple thousandths of an inch. Other starter models tend to stand back sufficiently from the ring gear, so the mismatch is not as problematic. 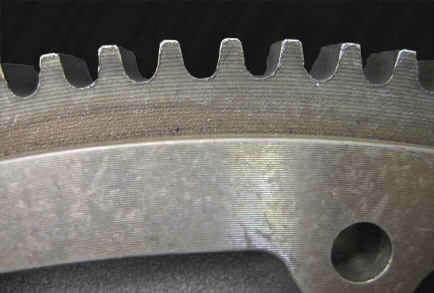 Since the NL “hugs the line” defined by Lycoming, the mismatched ring gear and support assembly causes an interference condition. Q: When replacing a B&C or Kelly starter with a Sky-Tec, why doesn't the alternator strap fit properly between the starter and alternator? What bolt should be used to secure an alternator strap to the starter's alternator boss? 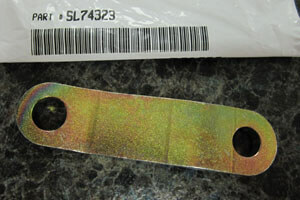 Use a Lycoming alternator strap (Lycoming PN 74323 shown below) and MS20074-05-06 (5/16-18 thread) bolts.